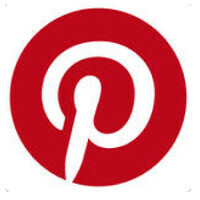 Pinterest announced today what it calls "a complete overhaul" of its iOS app. Not only does the app have a new look, it also runs faster. The home feed now opens as much as three times quicker. Pinterest says that its new look allows users to focus on Pins. And with support for 31 languages and different screen sizes, just about anyone anywhere will be able to use the app. The changes made will allow Pinterest's engineers and designers to continue to improve the app at a faster rate than ever before. Like it's name implies, Pinterest is like a giant virtual bulletin board where you can find certain recipes to cook, fashion designs to wear, articles to read and more, all pinned to the "board." And you can always pin something that you think that your Pinterest followers will find useful or interesting. The update, as we mentioned at the beginning of the article, is starting with iOS users. A few months from now it will be made available for Android users as well. The pressure is on Pinterest to achieve $2.8 billion in ad sales by 2018. That was the estimate used by the app to help raise money during a 2015 financing round. Perhaps a push overseas would help since only 45% of Pinterest's users are outside the U.S. Last year, the company estimated that it would bring in $169 million in revenue, so you can see that some pretty big growth is needed for Pinterest to reach its target. It also estimated that it would have 151 million monthly active users at the end of last year, rising to 329 million by 2018. A few months from now it will be made available for Android users as well.